Aileen Wyllie is a registered nurse and midwife and has been the Director, Undergraduate Nursing and Alternate Associate Dean (Teaching and Learning) at the University of Technology Sydney (UTS), since 2012. Her portfolio responsibilities include the quality of the programs offered in the Bachelor of Nursing and the student experiences. Of importance to the programs is the ability for sound leadership, management skills and curriculum development and this has been fulfilled by membership of numerous Faculty, industry and UTS committees; including Academic Board. She has taught extensively in the area of acute care nursing and ethics at undergraduate and postgraduate for a number of years, being a visiting scholar for UTS pharmacy students. 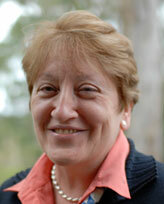 Her research and publications interests have been in the area of nursing educations and professional practice. Tertiary qualifications include degrees in health personnel education and bioethics. 2008 Dignam, D., Rochester, S., Kelly, M., Baker, J., Wyllie, A., Yam, B. Conlon, L. ($52,034) Process curriculum renewal for the BN – refining and developing integration of literacy, technological abilities, maths skills, critical thinking - linked to graduate attributes. 1995 Wyllie, A. ($3,605). The postnatal experience of women’. 1994 Wyllie, A. ($5,000). Theoretical and Empirical Investigation of the Basic Social Process of ‘Becoming a Mother. 1993 & 1994 Wyllie, A. ($3,420). The Antenatal experience of First-Time Mothers. © 2019 Elsevier Ltd Objective: This study aimed to explore the experiences of early career academic nurses as they shape their career path in one Australian university. Background: The early years of academic career development can be challenging as individuals learn to adjust to the teaching, research and service mission of universities. Tertiary institutions have an obligation to provide future nursing leaders with relevant and timely support during the formative phase of career development, to be successful in a competitive global environment. Design: A qualitative descriptive approach was used and data were analysed thematically using Braun and Clarke (2006) six phase process. Methods: Eleven early career academic nurses who were interviewed, had completed, or were near completion of a doctorate and were within seven years of full-time academic employment. Results: The four themes that emerged from the analysis were: embarking on the journey; the toil of the journey; fellow travellers on the journey, and strategies for a successful journey. Conclusions: Findings from this study can be used to inform customised mentorship programs for nurse academics during their initial stage of career employment. Social media platforms such as Facebook allow users to connect with each other online. They are also used as tools for creating communities, which can then be utilised as a mean for supportive, professional and social learning. This study aimed to explore first year Bachelor of Nursing student experiences with social media in supporting student transition and engagement into higher education. Qualitative focus groups Methods: First year Bachelor of Nursing students were conveniently sampled for inclusion in this study. Ten students were included in three face-to-face focus groups which lasted between 45 minutes and one hour each. When it became apparent that no new information was emerging from focus groups, recruitment stopped. Sessions were audio-recorded and transcribed verbatim. Data were analysed using qualitative thematic content analysis. Three key themes emerged from the data that illustrates the experiences of transition and engagement of first year student nurses using social media at university. These were; 1) Facilitating familiarity and collaboration at a safe distance; 2) Promoting independent learning by facilitating access to resources; and 3) Mitigating hazards of social media. This study has demonstrated the importance of social media applications such as Facebook in supporting informal peer-peer learning and support, augmenting online and offline relationships, and building professional identity as a nurse. Students reported active increased use when assessments were due and while on clinical placement. Students found Facebook useful as an avenue to debrief and reflect, whilst on clinical placement, and as a tool to meet new friends and strengthen existing relationships. There is need for future research and evaluation of interventions that bridge the divide between traditional learning platforms such as Blackboard and social media platforms. In this paper, we consider the potential and implications of using social networking sites such as Facebook® in nurse education. The concept of social networking and the use of Facebook will be explored, as will the theoretical constructs specifi c to the use of online technology and Web 2.0 tools. Theories around Communities of Inquiry (Garrison, Anderson, & Archer, 2000), Communities of Practice (Wenger, 1998), Activity Theory (Daniels, Cole, & Wertsch, 2007) and Actor-Network theory (Latour, 1997) will be briefl y explored, as will the work of Vygotsky (1978), as applies to thesocial aspects of learning. Boundary issues, such as if and how faculty and students should or could be connected via social networking sites will also be explored. As health professionals, nurses are responsible for staying abreast of current professional knowledge and managing their own career, professional growth and development, and ideally, practices to support these activities should start during their student years. Interest in electronic or e-portfolios is gathering momentum as educationalists explore their potential as a strategy for fostering lifelong learning and enhancing on-going personal and professional development. In this paper, we present an overview of e-portfolios and their application to nurse education, highlighting potential benefits and considerations of usage. We argue that the e-portfolio can represent an authentic means of assessing cognitive, reflective and affective skills. Furthermore, the e-portfolio provides a means through which nurses can record and provide evidence of skills, achievements, experience, professional development and on-going learning, not only for themselves, but for the information and scrutiny of registration boards, employers, managers and peers. In this paper, we consider the potential and implications of using social networking sites such as Facebook ® in nurse education. The concept of social networking and the use of Facebook will be explored, as will the theoretical constructs specific to the use of online technology and web 2.0 tools. Theories around Communities of Inquiry (Garrison, Anderson & Archer 2000), Communities of Practice (Wenger 1998), Activity Theory (Daniels, Cole &Wertsch 2007) and Actor Network Theory (Latour 1997) will be briefly explored, as will the work of Vygotsky (1978), as applies to the social aspects of learning. Boundary issues, such as if and how faculty and students should or could be connected via social networking sites will also be explored. As more and more Australian universities move their courses into blended learning environments (BLEs), it is important that strategies be devised to monitor teaching practices and student learning. In 2008, five large Australian universities were given an ALTC (Australian Learning and Teaching Council) grant to address the area of teacher peer review (PR). This paper shows evidence from one of the universities (The University of Technology, Sydney) where a case study was undertaken to optimise teacher peer review in a BLE. The project involved an innovative approach of interdisciplinary PR between an academic from the Faculty of Nursing, Midwifery and Health and an academic from the Faculty of Arts and Social Science (FASS). As a result of this collaboration, the online assessment in the nursing subject was radically changed with a greater percentage of the marks awarded to online activities. The design took more âup frontâ effort by the coordinator, as is usually the case in online preparation, but results have shown that students who had previously relied heavily on directions from their tutors throughout the semester, were now taking on more responsibility for their own learning and for the learning of fellow students. Wyllie, A.M. 2008, '(Chapter adapted) Chapter 62 - Nursing management: Muscularskeletal trauma and orthopaedic surgery' in Brown, D. & Edwards, H. (eds), Lew's medical-surgical nursing: Assessment and management of clinical problems, Elsevier Mosby, Sydney, pp. 1730-1770. Wyllie, A.M. 2008, '(chapter adapted) Chapter 63 - Nursing management: musculoskeletal problems.' in Brown, D. & Edwards, H. (eds), Lew's medical-surgical nursing: Assessment and management of clinical problems, Elsevier Mosby, Sydney, pp. 1771-1796. Ferguson, C, DiGiacomo, M, Saliba, B, Green, J, Moorley, C, Wyllie, A & Jackson, D 2018, 'First year nursing students' experiences of social media during the transition to university: a focus group study', 7th International Nurse Education Conference. Wyllie, A, Levett-Jones, T, DiGiacomo, M & Davidson, P 2018, 'A REAL orientation: a program designed to give early career academic nurses career confidence', National Nurse Education Conference, Melbourne. Wyllie, A, Levett-Jones, T, Davidson, P & DiGiacomo, M 2018, 'P-ECAN - Designing a program to maximise career planning for early career academic nurses', 7th International Nurse Education Conference, Banff, Canada. Wyllie, A.M. 2010, 'Supporting sustainable student learning throughout a three-year program using ePortfolios', Assesment: Sustainability, Diversity and Innovation, ATN Assessment Conference, pp. 1-3. Wyllie, AM 2010, 'Eager 'weavers': Designing assessment for an online environment', NETNEP 2010. Waters, C.D., Rochester, S.F., Pizzica, J., San Miguel, C.L., Wyllie, A.M. & McMillan, M. 2009, 'Renewed Bachelor of Nursing: Developing an abilities-based conceptual framework', UTS Teaching and Learning Forum, University of Technology, Sydney. Waters, C.D., Wyllie, A.M. & Carey, M.T. 2008, 'The community of practice and professional development', ANTS Program Abstracts, 13th National Nurse Education Conference, Australian Nurse Teacher Society, Sydney Olympic Park.